I drive both of these every weekend ,unless its snowing! my 41 on boxing day ,BUT before all the modifications! 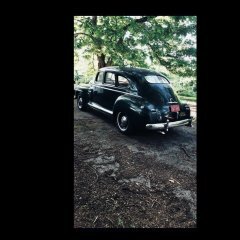 my 41 windsor has a split manifold ,twin large bore twin exhausts and triple carbs .I can assure you it has made a very noticeable difference to the original cars performance. dash pot in the carb not working properly? WOW!! thank you all gentleman ,now the fun begins! Will let you know how we get onion thing i do know is the rubber boots protecting the motors are completely disintegrated.Am also sure they are completely unobtainable! does anyone have the electrical wiring diagram for a 41 chrysler windsor convertible that includes the power top wiring? HA! I am also missing the right rear gravel mould trim ,they are the rarest of the rare ,in 4 years i have seen one for sale AS part of a set that went for $750! 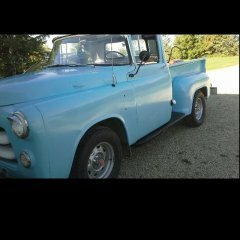 I have a 41 windsor with a triple carb set up ,the centre carb is the original ,with the fluid drive it was essential, the outer two are standard b and b.Runs like a champ with the twin exhaust pipes and split manifold.The only problem was insufficient vacuum to work the kick down but that is now working with an electric switch to kick it down. 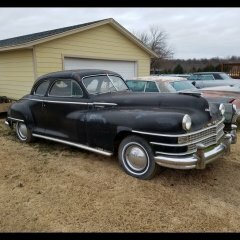 My 19,000 mile original 1948 NewYorker has black wheels ,however it is a black car ,so this proves nothing and helps little. That seems a great buy at $10500 ,easily worth that in the Uk! Its an electric down shift ,called a shift-rite ,i have one in a box somewhere which i have never got round to fitting. 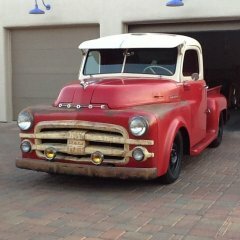 hi ,im visiting Tucson on vacation from 4th to 9th september ,is there anything old car related i shouldn't miss ?Am thinking of the car show at Little Anthonys diner and also the Pima air museum? Anything else?Thank you ,in advance! That and Freddie's at the intersection of Orange Grove and Thornydale on Thursday nights, Freddie's at North Oracle on Friday night and Cars and Coffee at La Encantada Śaturday morning. Enjoy!